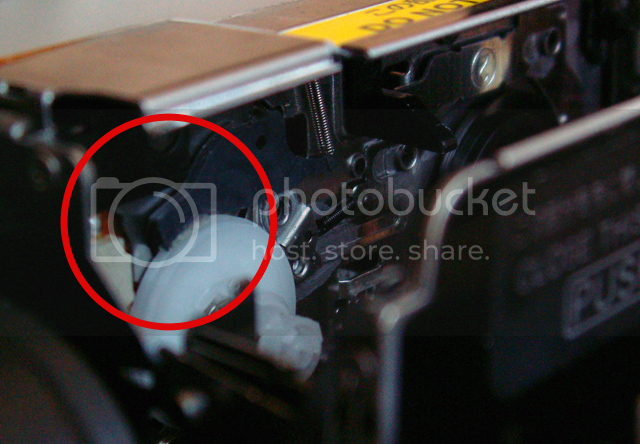 Just got my repair estimate from Canon for "REMOVE THE CASSETTE ERROR. Has anyone had or known of someone having Canon Australia cover the majority of this repair? I have called their support line (customer service?...bull!) and they said that if it wasn't on their website, then it wouldn't be covered. Even asked nicely if they could look on their internal systems to see if there was anything, but got told the same thing again. I would have assumed that if the fix was being covered in the US and NZ, then AU would do it as well. Otherwise I've been quoted AUD$450 to have the problem sorted on my XM2. 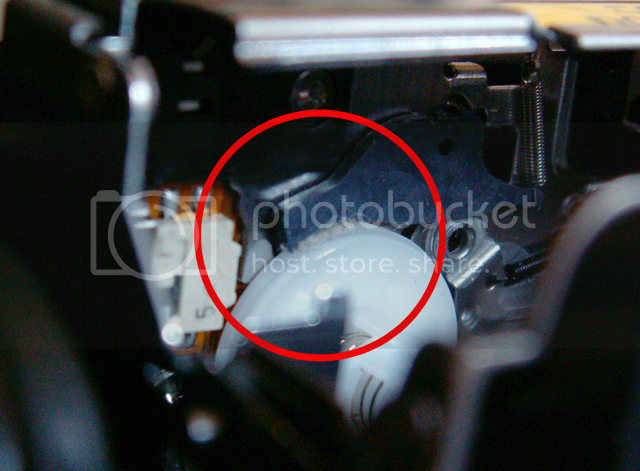 About a year later, after Canon repaired my camera, the problem repeated itself. I just returned the camera to Canon and the repair charge is now up to $70.00. That was $50.00 labor for the repair and $20 for shipping. I can't complain about that. It too bad that the GL2 has such a lousy tape transport. I've worked on GL1 cams, a completely different transport, probably why we don't hear about GL1's having the same problem. This is only a $70 dollar fix?! I was under the impression that it was well over $300. Looks like I will have a working GL2 in the end after all. I have to find a Canon phone number to call (considering I'm in Canada and I have no papers from the camera since I bought it used recently) but I'm assuming that I can also request the number of hours on the camera? Does anyone know if that is possible with the GL2 or if they would charge extra? Actually the fix could be much lower than $70. The clutch was assembled with too much grease ... if one drop is good then 5 drops is 5 times as good....right. This has been covered before in the past by my self and others. The fix is very easy, takes about as long as it takes to snap you fingers, and cost about $3.50. I fixed my GL2 with one application and that was 3 years ago. Look in previous post for the fix including photo. Just be sure not to use too much cleaner and use a small clean lint free cloth to protect other components. Won't fix every case...probably only 90%. I'm guessing that this is the post you were referring to. The photos do not work, but I took some of my own and I was wondering if you would be able to tell me if I am looking at the right part. I put some alcohol on a microfibre cloth and cleaned that little piece of friction fabric stuff on the black plastic rocker (with the spring on it) and used a dropper to put a couple of drops of alcohol under the white gear. I then spun the gear by hand and left the camera for a couple of hours to dry. I picked it up, turned it on, put a tape in, hit play, I played the tape (the cam wouldn't even play tapes and I was having problems when I turned the camera off, the tape was not going back in the cartridge and giving remove cassette errors upon turning the camera back on) and then I went to rewind at slow speed, it gave the error. I turned the cam off and removed the battery for a few seconds. I put it back in and powered on. Tried full speed rewind - success (for only the 3rd time in owning the camera! ), I then fast forwarded to the end of the tape and rewound back to the begining a few times. No issues at all. It plays and does slow fast forward just fine and gives the error the odd time (maybe every 3 times) I use slow rewind. Unless it gets any worse, I don't plan on cleaning it any more. I'm overjoyed right now. Because of the problems I was having whenever I turned the camera off in record mode, it wasn't simple a playback error for me (and I do have another cam to use as a deck) but it was making the camera unreliable for shooting at all. I can finally get excited about getting this camera again. Edit: Ok, scratch that. I have it another couple of drops and it works absolutely flawlessly now. Flawlessly. Last edited by Greg Donovan; June 20th, 2009 at 12:11 PM. what type of cleaner did you use ? Go and pick up a spray can on "Contact Cleaner" at Radio Shack. Make sure it has the small plastic piece to direct the spray to a specific point. First take a lint free cloth and protect the internal parts...especially the heads. Pre load the spray nozzel and practice a few very short burst then appy ONE SHORT shot to the prementioned spot. Let everything dry for 30 minutes or so then test. If this doesn't fix then try ONCE more. If that don't work then you may be in the small group that has to send the cam in for repairs....good luck. I just started on this thread and I didn't read through all the others, so if someone already mentioned this , sorry, here it is again. Here is a youtube where a guy suggests manually rewinding the tape about 10 times.